A gorgeous addition to any Neo-Victorian ensemble, the Bernia Brown Leather Underbust Corset hugs your torso to create a flattering silhouette. 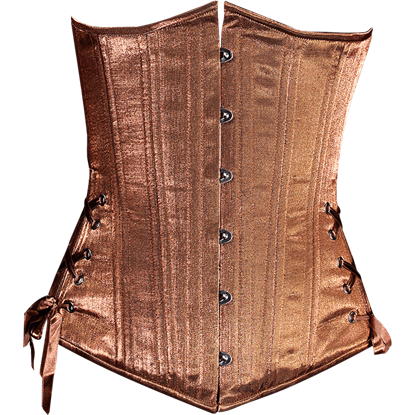 The sleek steampunk underbust corset is made from soft, high-quality napa leather. Edgy and exciting, this steampunk corset is the perfect way to add jazz to your style. The Black Clasp Closed Steampunk Underbust Corset provides spice for your ensemble, transforming you into a truly fashionable Steampunk diva. With its impressive design and phenomenal style, the Black Paisley Underbust Corset has a look that is as colorful as it is classic, making it a fantastic addition to any womans wardrobe, whether for reasons of style, shaping, or both! Elegant in its simplicity, the Black Satin Waist Reducing Underbust Corset is a versatile corset sure to suit a variety of timeless looks, none-the-least gothic and steampunk styles. This waist reducing corset features a cotton lining. A bit of Victorian grace cannot help but appear in the outfit featuring this corset! The Brocade Classic Victorian Underbust Corset makes use of a classic Victorian pattern, decorated with intricate golden details over the upper half. 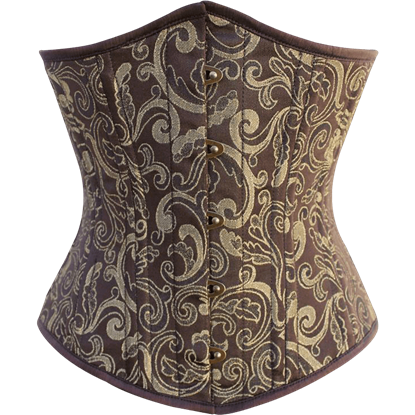 For a look as refined as Victorian noble lady, step out wearing the Brown and Gold Brocade Underbust Corset. Get the hourglass shape you want along with a distinguished touch of elegance when you wear this brown and gold corset. 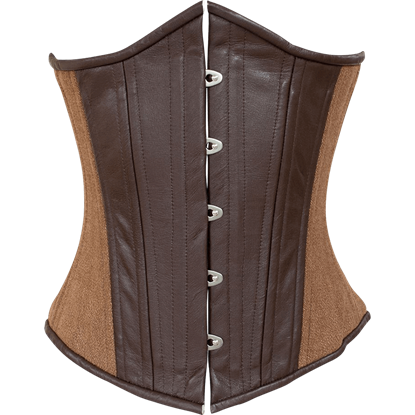 The Brown and Tan Steampunk Underbust Corset has a worn-in design that works great for cosplayers who want a rustic steampunk look. Front and back panels of brown leather look striking next to the tan material of the sides.